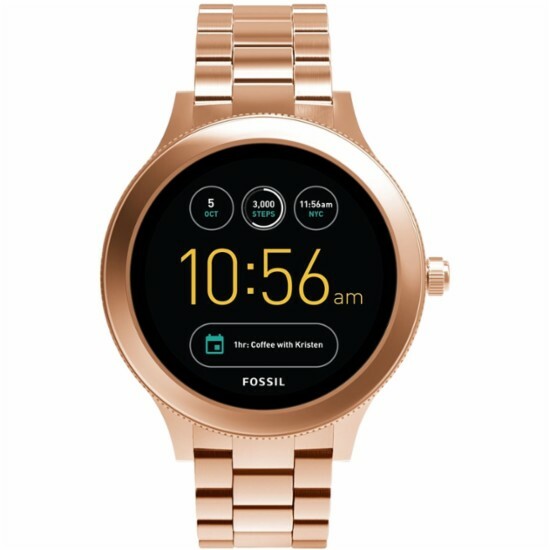 For those looking for a smartwatch which won't take over their wrist the Fossil Q Venture is a stylish proposition which gets the basics right. It's adventure time our Q Venture smartwatch keeps you connected wherever the road takes you. Be notified of important texts, calls, social messages and emails right at your fingertips. Track your everyday accomplishments steps, distance and calories burned. Control your music with your phone’s selected music player whether it’s Spotify, Pandora, Soundcloud, Google Play, iTunes or Apple Music.